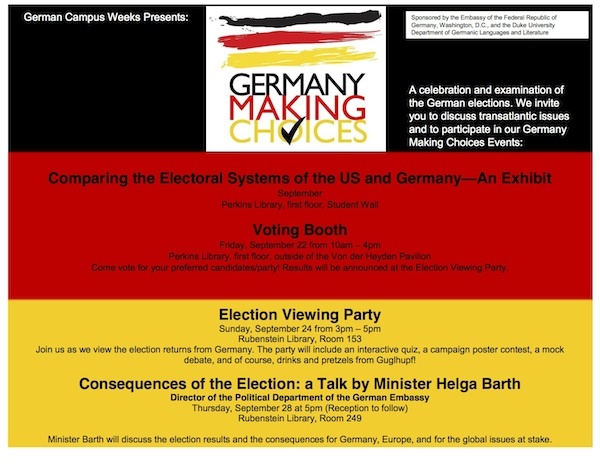 German faculty have several events going on around the German election. Check out this flyer. 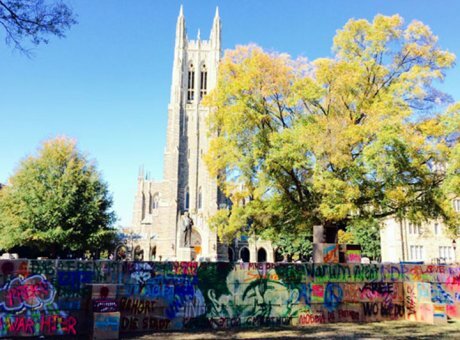 CBLI co-sponsored the Duke German Club's commemoration of the 25th anniversary of the tearing down of the Berlin Wall. The students built and then tore down a replica wall made out of cardboard. Read more in Tear down this wall.